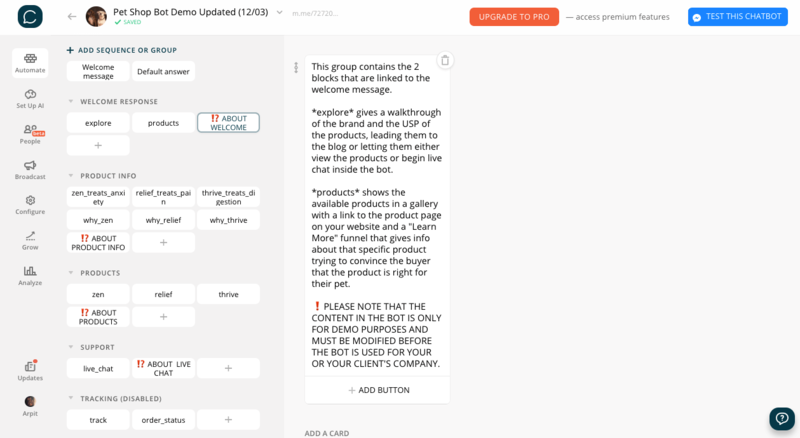 With this bot, you can not only show a gallery of your products for users to buy them (either within the bot or via links to your product pages), but also educate the user about each of your products to ensure that they buy! 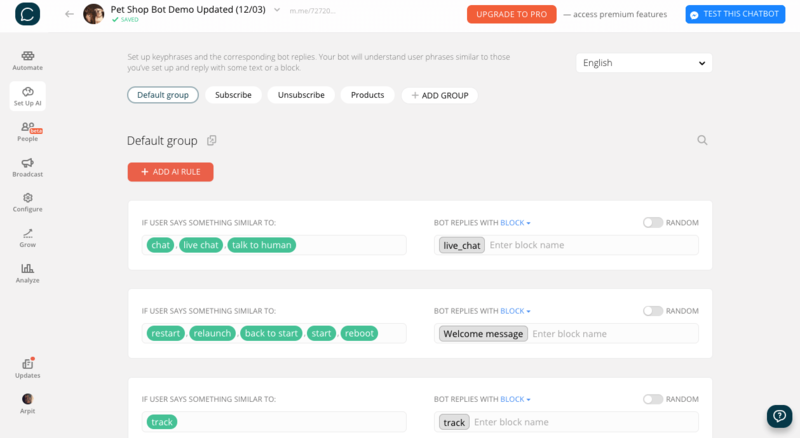 Find detailed instructions about the setup via blocks explaining groups of blocks. Don't waste time figuring out how to customise the bot as per your needs. Show the products in a gallery with a 'learn more' button for each product to begin a funnel that takes the user through the details, benefits and persuades them to buy. Before starting live chat, it is shown which product the users are interested in, enabling the manager to respond faster. Users can be segmented based on the products they view or buy. 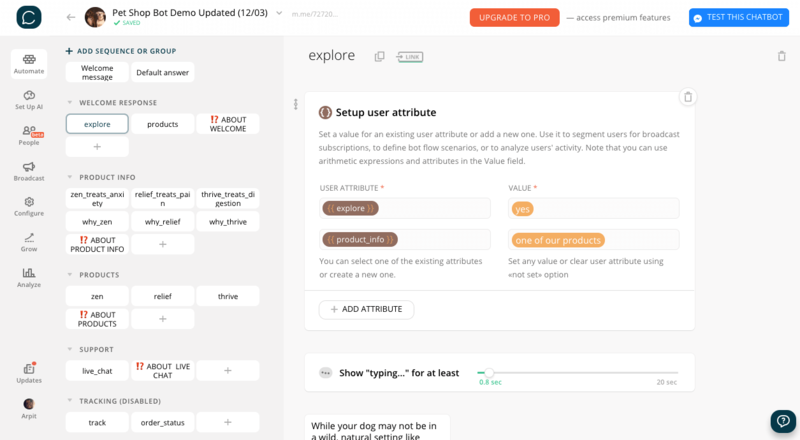 You can also filter users who choose to buy in the first step of the funnel or those who drop out when they are one step away. Users can choose to explore what the store is about and what is the USP. You can engage the user by sending them to your blog or giving more info about the store and the top-selling products. You can enable tracking by integrating the bot with your tracking service. You can also enable "Buy" within the bot using Stripe or Facebook Payments. The requisite blocks are pre-built. 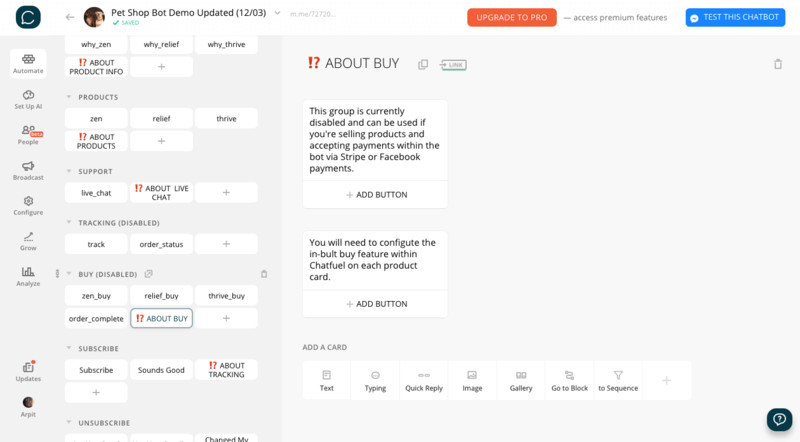 Respond to user inputs like 'what do you sell' and 'how can i see the products' without leaving the user confused. 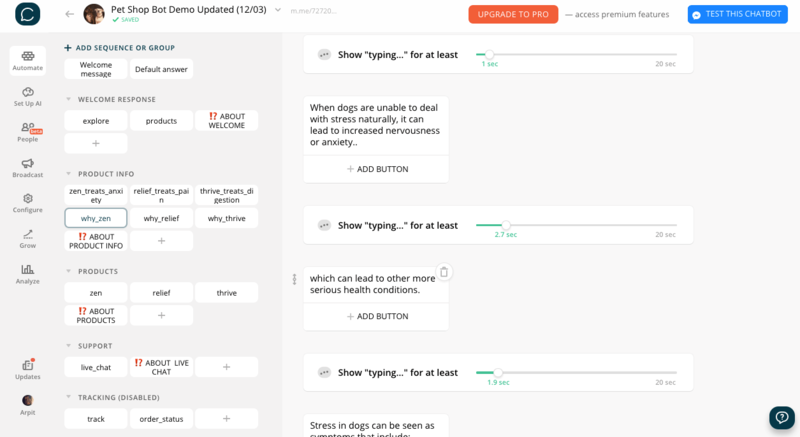 AI is powered by Chatfuel and not DialogFlow.